A good short video on how 3D printing can help businesses from the folks at MHI. Squabbling between Whitehall and Brussels over how post-Brexit trading will play out may actually be pointless after all. What will negate all that, apparently, is 3D printing. A report by Dutch bank ING has concluded that almost a quarter of world trade will be wiped out by 2060 as firms use 3D printers to manufacture goods at home rather than import from abroad. And such a scenario is a conservative conclusion. In a report entitled “3D printing: a threat to global trade”, an alternative scenario suggested as much as 40 per cent of global trade could be erased by 2040. A controversial position from the Guardian. The fiscal treatment of 3D printing is one of the big considerations that Governments ought to start planning for, particularly given the difficulty of taxing international trade of things when those are digitally transmitted to local printers. My s on has just been given a new toy car. It’s small, blue and remarkably cute-looking for something that threatens one day to cost a lot of people their jobs. For what’s unusual about this car is that it wasn’t made in a distant Chinese factory before being shipped back to a warehouse here, then trucked to a shop, or dumped on a doorstep by an overworked Amazon driver with no time to ring the doorbell. This one came straight off a 3D printer, one of those faintly space age-sounding gizmos that works a bit like a normal printer except that you load it with plastic fibres instead of paper, and then programme it to “print” a solid object according to your preferred design. 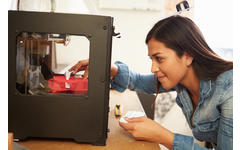 The manufacturing industry could be transformed by 3-D printing, but business owners don’t understand the technology, slowing its adoption, according to Adrian Keppler, CEO of industrial technology services player EOS. “People don’t understand it, and they have a hard time understanding what it means for their business,” he told CNBC’s “The Rundown” on Thursday. The 3-D technology allows the construction of lightweight parts — a feature that Keppler said could benefit vehicle makers in particular as the auto industry shifts toward electrification, and as more regulators impose emission limits. As the co-founder of Robo, a desktop 3D printer company in San Diego, CA, I have been on a mission to bring 3D printing to the world since I fell in love with the technology back in 2012. Through this short amount of time, I have already witnessed a steady growth in the use of 3D printing in both professional and personal cases. 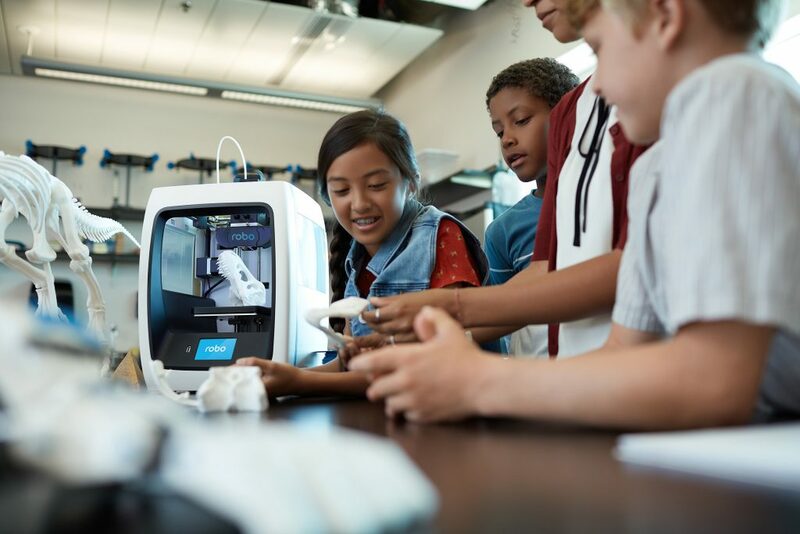 We are starting to see that 3D printing is becoming more accessible to everyday consumers and students, in addition to those using it in a professional capacity. Companies like Robo hope to make people’s lives easier — not only for entrepreneurs that already use 3D printing to accelerate their time-to-market, but also anyone with an entrepreneurial mindset who wishes to build something with their own hands that they never thought was possible. The ability to print multiple materials at the same time is a step change in the capability of 3D printing that will propel it faster into mainstream manufacture. Advances in 3D printing have been slow to replace traditional manufacturing, but NASA is looking toward the technology as a way to fabricate parts for rockets. It’s already experimented with rocket components that were 3D printed from a single metal, but now it’s testing a process for printing in two different alloys. 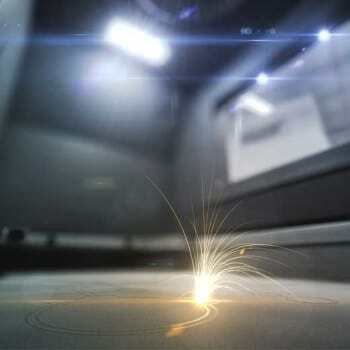 Using an advanced laser printing method, the agency has produced a bi-metallic rocket igniter that really works. As the name implies, a rocket igniter is used to initiate a rocket engine’s start sequence. It’s a surprisingly complex part that’s difficult to make, so it’s an ideal candidate for 3D printing. However, you can’t make a rocket igniter out of a single metal. In traditional manufacturing, these components are produced using a process called brazing. The two different metal components are melded together using a filler material that locks them into place when the component is heated. We all know 3D printing is a powerful tool with great potential. However, the best use for 3D printing in manufacturing is still contested. Some herald it as a total replacement for mass production: you want something, you print it. Others see it as a useful prototyping tool with little viability on the production floor. But what is 3D printing’s place, really? To answer that, we asked Rush LaSelle, director of digital manufacturing at JABIL inc. With 175,000 employees worldwide, JABIL is a massive multi-sector company that specializes in design engineering, supply chain management and logistics and manufacturing. According to LaSelle, identifying the value in emerging technologies is essential to gaining an advantage in the marketplace. Correctly applying leading technology can make your products better and help them get to market faster. So, where does additive manufacturing fit in?